The Boston Bruins might be at their healthiest in a long time when the puck drops tonight in a tilt against the New Jersey Devils, however, not everyone will be in the lineup. The 21-year-old player recently returned from a concussion, however, Bruins head coach Bruce Cassidy announced that the young defender would be sidelined again tonight against the Devils, after Thursday’s morning skate. Cassidy explained that his blue liner is suffering some lingering effects from a blocked shot and will miss tonight's contest. The head coach also added that he is listed as day to day with a lower-body injury. It is believed the lower-body injury took place in the Bruins' last game before the holiday break on Dec. 23 in Carolina. 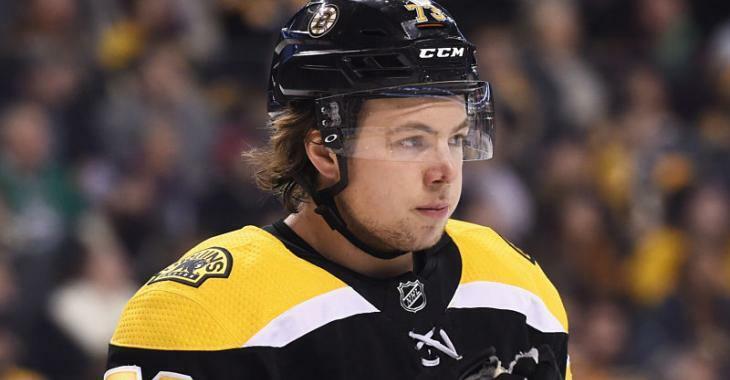 McAvoy logged more than 20 minutes of ice time in the Bruins’ loss to the Hurricanes. The poor kid was on the ice for four Hurricanes goals that night. It's not all bad news for Boston's blue line since Zdeno Chara (knee) and Kevan Miller (neck) are fit to return Thursday against New Jersey. Since returning to the lineup on Dec. 6, McAvoy has five assists, is a plus-3 in 10 games.